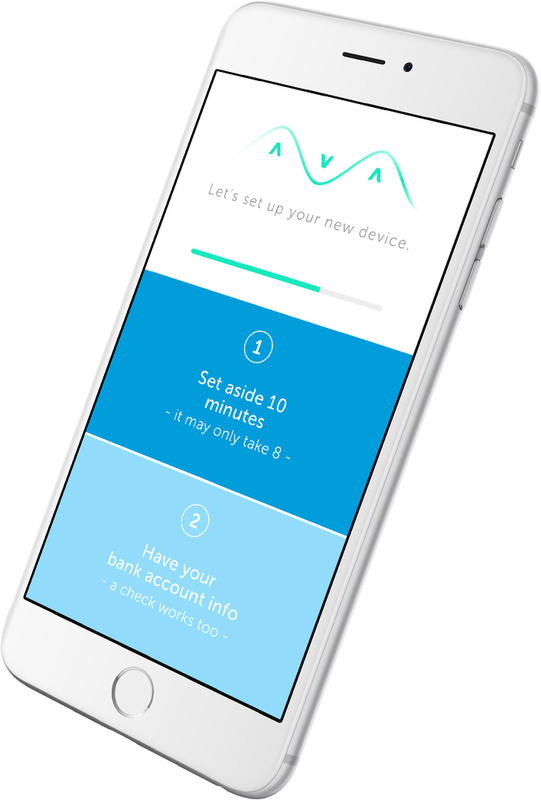 Transforming the customer experience and creating new industry standards. 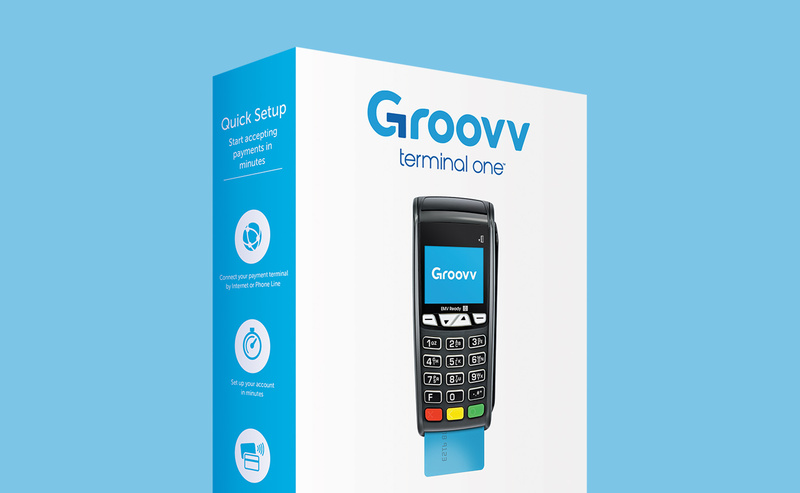 In the highly competitive merchant card processor market, the newly designed Groovv Terminal One needed a brand strategy to position it as the leader in ease of use and accessibility for the conversion to EMV chip card capabilities. 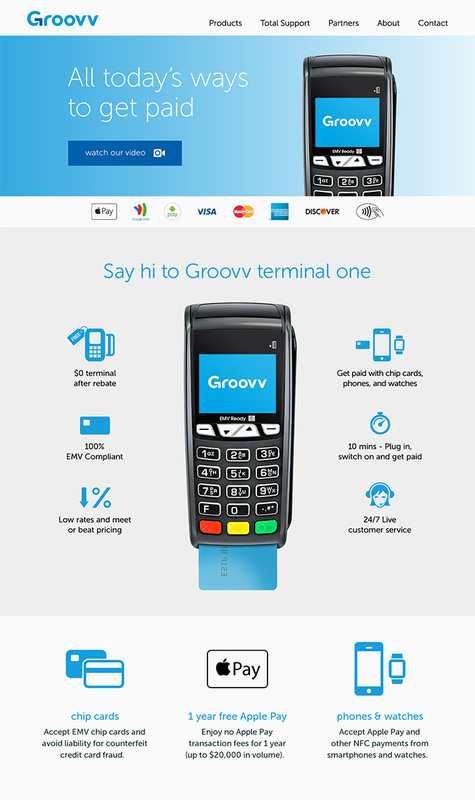 With the credit card liability shift just months away and merchants nervous about making the switch, we set out to help our client, Total Merchant Services (TMS), transform the customer experience and create a new standard for the FinTech payment processing industry. Initially launched in Apple stores, every element from package design through digital experience received the Apple design seal of approval.